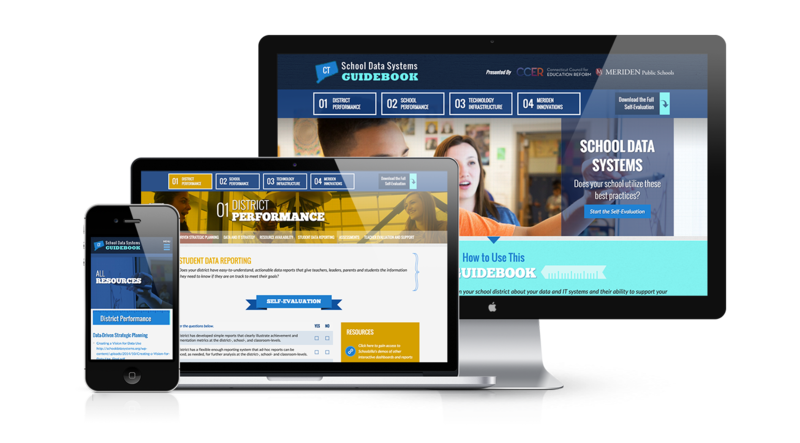 We recently launched this site for Connecticut Council for Education Reform and the Meriden School District in Connecticut! 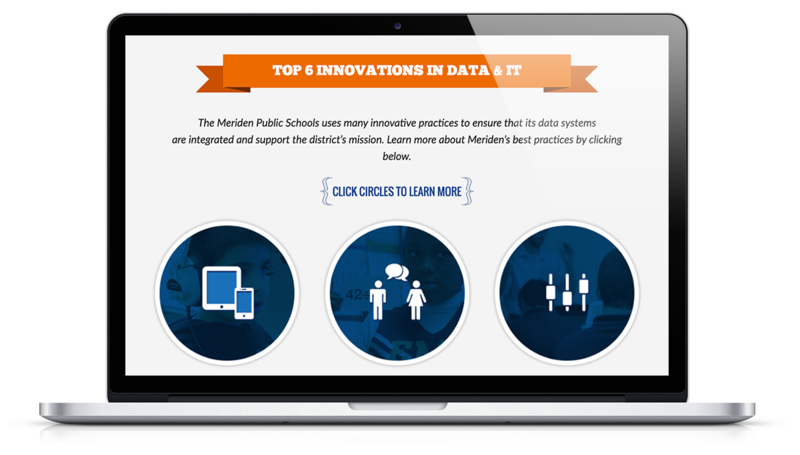 It is essentially a guidebook tool for school districts. 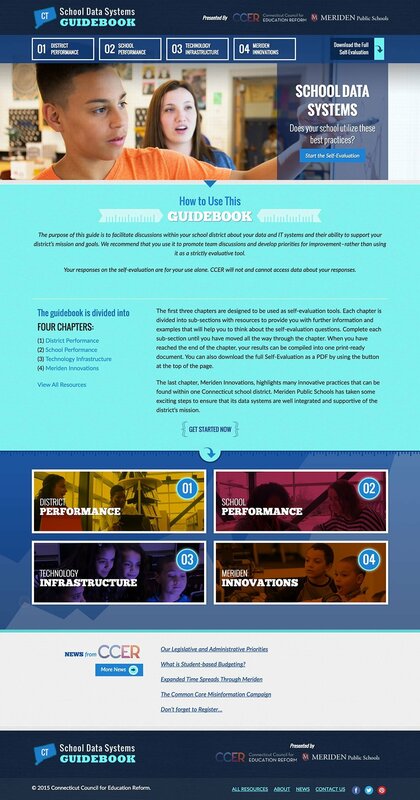 With a complete self-evaluation tool, interactive animations, rich bright graphics and a clear statement of purpose through content, layout and graphics, the Guidebook website came together as a very cohesive and helpful piece.